Poster art by James Retherford / The Rag Blog. The banner, designed by famed comix artist Gilbert Shelton, is from the original Rag, Austin’s legendary underground newspaper published from 1966-1977. Rag Blog editor Thorne Dreyer just keeps getting older! 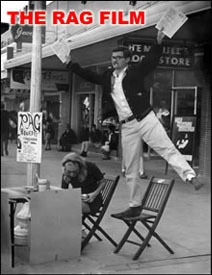 “Growing old … finish reading EXTRA : Rag Blog Editor Dreyer Does it in Public this Friday! Ridiculous graphic by James Retherford / The Rag Blog. Unprecedented development:Dreyer has another birthday! Rag Blog editor Thorne Dreyer’s alleged ‘birthday’ event to be held Friday, August 2, from 6-9 p.m., at Maria’s Taco Xpress, 2529 S. Lamar Blvd in … finish reading Special Correspondent : Rag Blog Editor Dreyer Has Alleged Birthday!